The environment is changing for the worse due to our masses of energy consumption – but we still need more buildings for businesses and homes with our expanding population. That's why the need to be eco-friendly is becoming more and more important - this means we need to start creating buildings that are powered, or at least partially powered by renewable energy, in order to reduce our carbon footprint. We also need to be mindful of the levels of waste our homes and offices are producing; waste water, trash and emissions can damage the environment and cost a lot of money to dispose of properly - but with on-site water treatment plants and recycling facilities our buildings can become greener! Starting to invest in building eco-friendly buildings now might be expensive, but with the amount you save on electricity and other utilities with these buildings we will start to make this money back over time. We're investing in our children's future, and the health of our earth in the future! The buildings on this list however, cater for our need for space, but still avoid impacting on the environment too much. 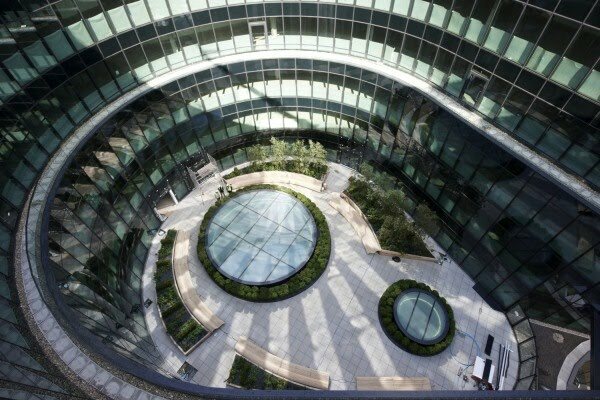 The PricewaterhouseCoopers building is the most environmentally friendly building in London; it even features an integrated IT system which lets individual workers control their light and temperature in their space. 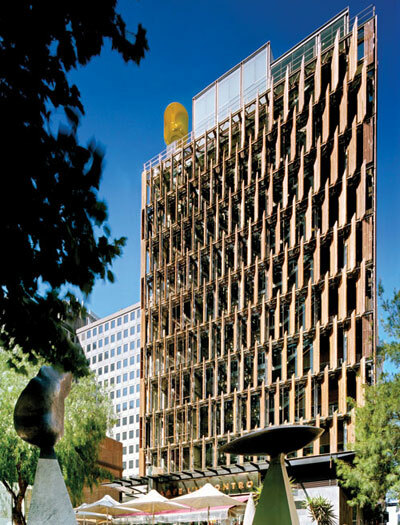 In this building designed by Cook and Fox, waste water and rainwater are reused, the tower can be heated by the sun, and the windows are designed to provide as much natural light as possible. The tower was even build with renewable materials. This building was completed in Mumbai in 2010, and it symbolises the country’s move towards an environmentally friendly future. 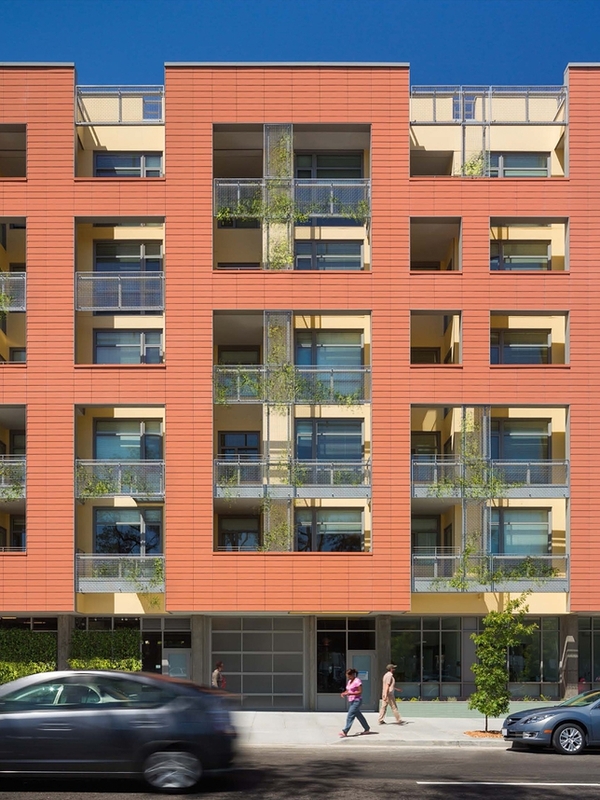 The tower makes use of rainwater recycling, natural lighting, and natural ventilation. Another building from Mumbai, but shockingly this entire building is just one man’s home. 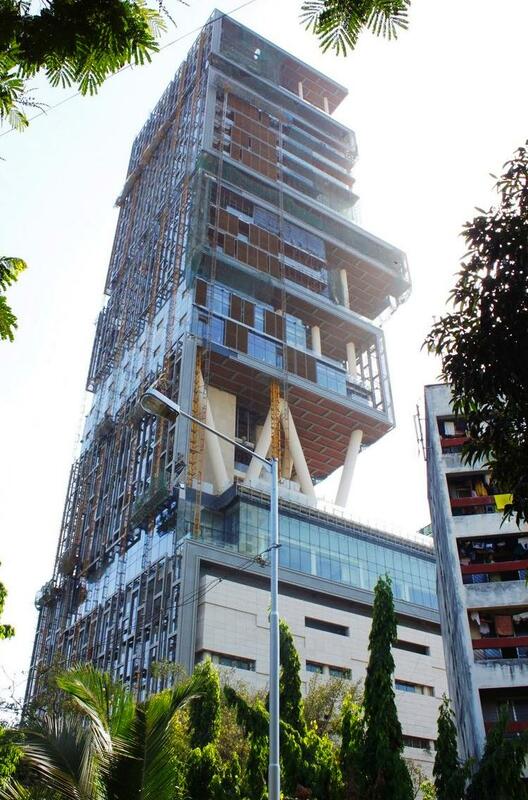 It belongs to property mogul Mukesh Ambani. 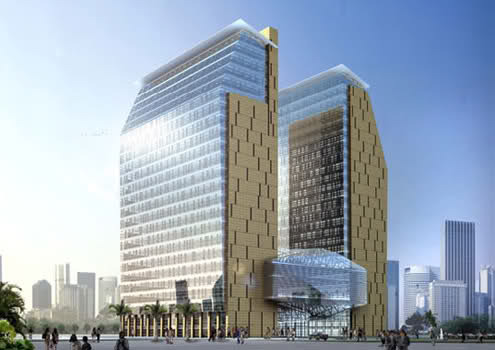 The building will act as a carbon filter for Mumbai, as it is covered in rooftop gardens. 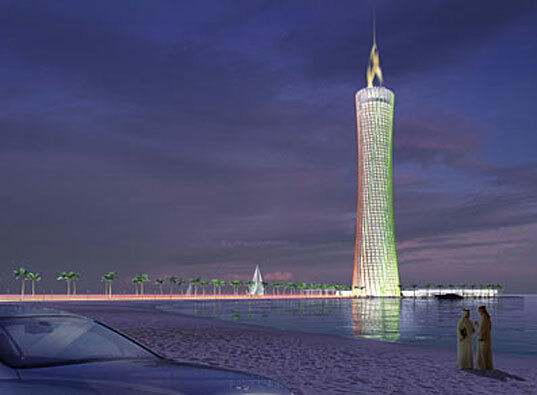 The Burj al-Taqa, otherwise known as Dubai’s energy tower, was a proposed building, which was going to be built but had to stop due to the global financial crisis. No-one knows if the building will go ahead, but the project was never officially cancelled. The structure would have included a 200ft wind turbine and numerous solar panels. 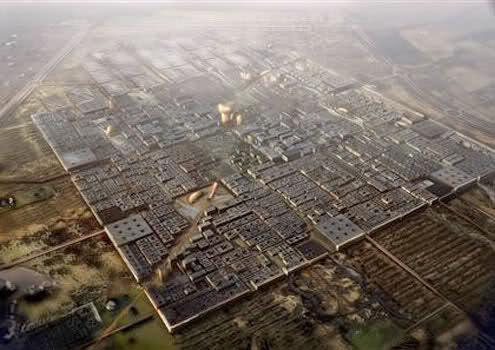 This monumentous 64,583,462 square foot development is a project by the Abu Dabi Future Energy Company, it’s a futuristic city that is currently being built, and it will rely entirely on solar energy and other renewable sources. The city is also planned to be carbon neutral and car free. Not only that, but it’s self-sustaining too. 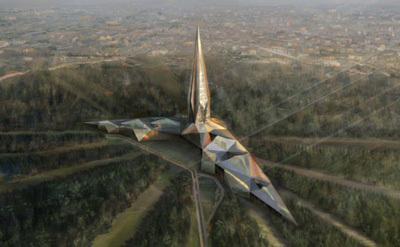 This faceted tower is proposed to be built in Siberia in the middle of a densely wooded area. It’s shape to maximise the impact of solar panel electricity due to reflections, and light the building up in the daytime. 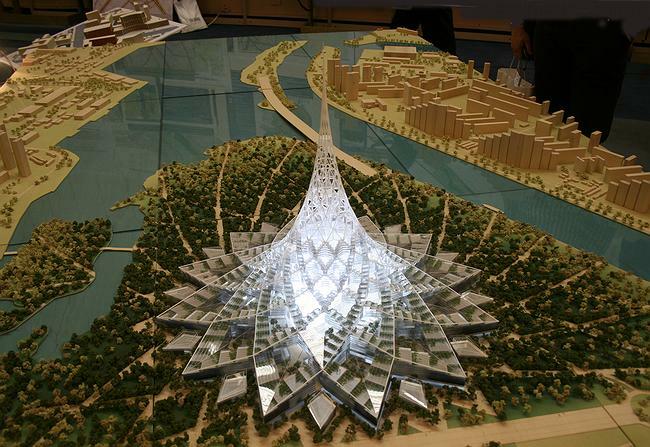 Crystal Island is a building project in Moscow that will become the world’s largest building with 27,000,000 square foot of floor space. The building will feature a ‘second skin’ which will be a thermal buffer for the building, that opens in the summer to increase ventilation, and closes in the winter to shield against Moscow’s icy winters. 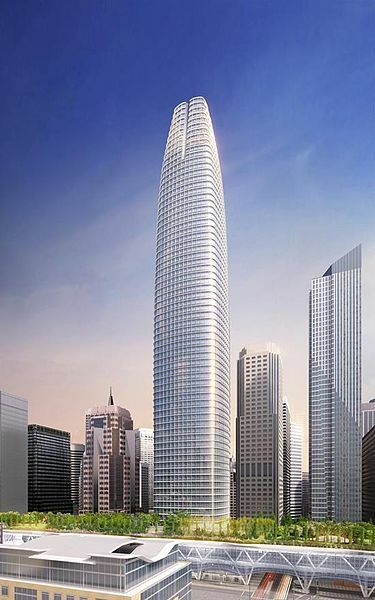 The Transbay tower will be a 1,200ft tall structure, that will feature a bus terminal with a glass rooftop park, designed to absorb CO2 from busses. 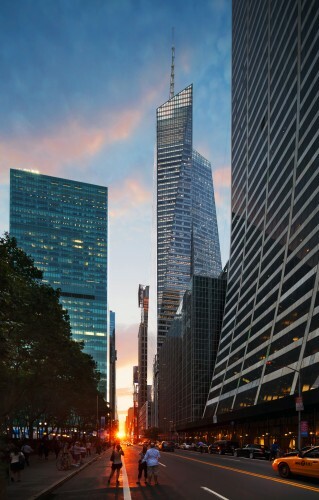 The tower will also feature wind turbines on its roof, and sun shades for solar control. Melbourne’s council building features wind turbines, sewage recycling, chilled ceilings and photovoltaic-powered recycled louvers that track the sun and promote a healthier internal environment. 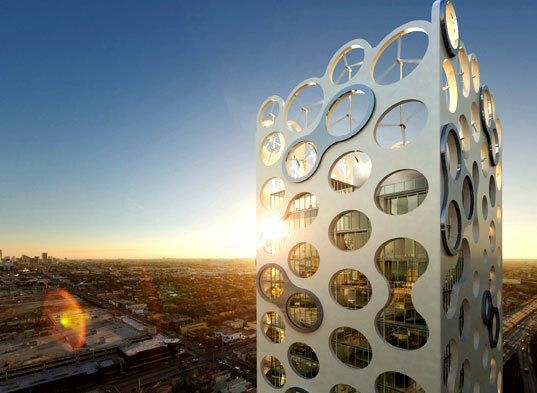 It might be a little strange looking, but this building is highly energy efficient; the strange bubbles provide enclosures for wind turbines and garden terraces. 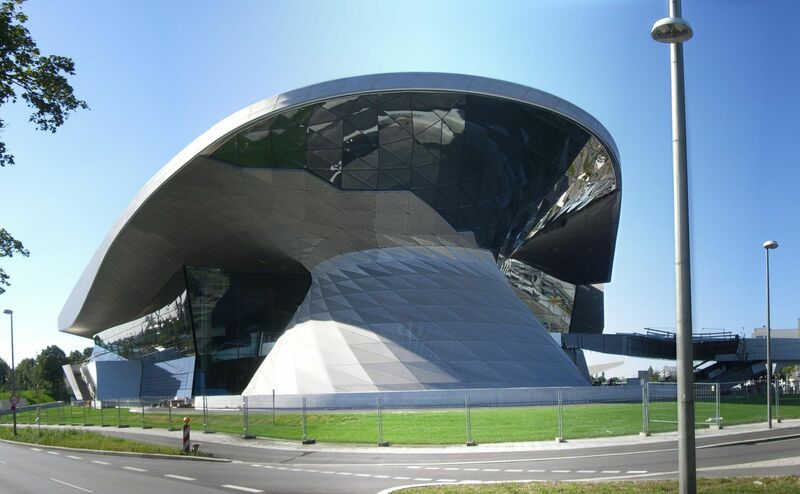 This strange structure supports a roof covered in a photovoltaic array, which produces a minimum of 824kWp of energy; there are also steel panels that help heat the building using solar gain. DuBiotech is a research and biotechnology park in Dubai, so it was important for them to have a new headquarters that they look the part. The design maximizes daylight, limits solar going from the hot climate, and regulates the internal temperature of the building. This university building is one of the three greenest buildings in the world, which gives it a coveted platinum award rating. Their solar power system covers at least 20% of their energy use, and there are also venting windows and automatic shade controls. This building was built to achieve zero-net energy consumption, with the aid of solar panels, wind turbines and geothermal wells. 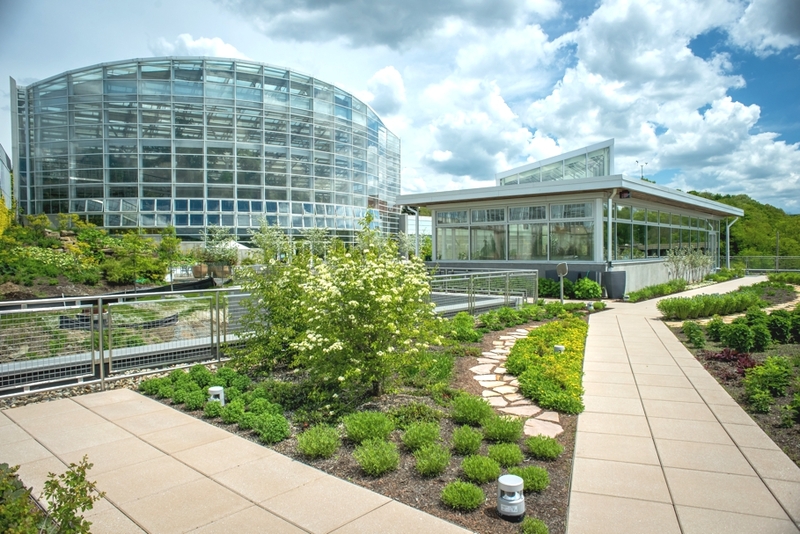 Black water and storm water is treated on-site for reuse, and this building even has a rooftop garden. The roof area of this building features both solar and photovoltaic panels, and the windows have high-performance glass designed to keep the interior at the right temperature. There is even a low volume ventilation system to keep the apartments cool in summer without air con. 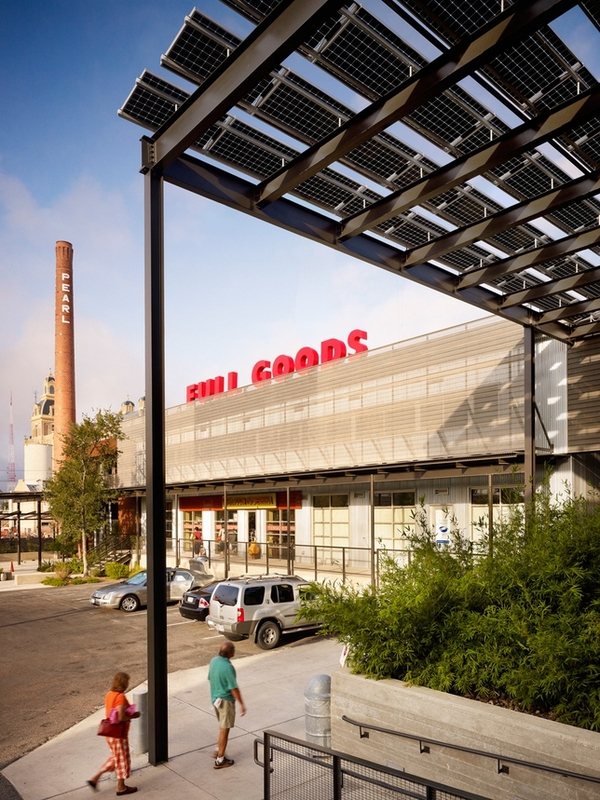 This warehouse and brewery has obtained a gold LEED award, because of its ingenious cooling system that lets air travel through the building. They also recycle rainwater, and use it to irrigate the landscaping on-site. 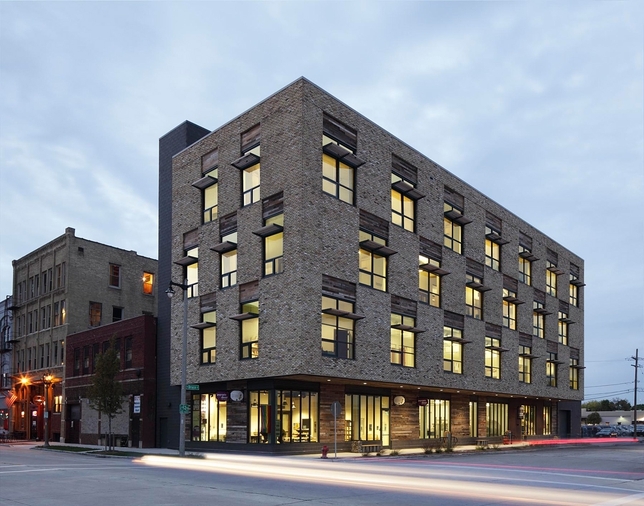 This building was developed on a brownfield site that many found difficult to build on, so not only does it use up land that would otherwise be wasted, but it also runs on geothermal power, which is drilled directly below the building. This is one of the first Western buildings to use piles for geothermal heating and cooling, it also utilises chilled sails and open office lighting to minimise its energy consumption. 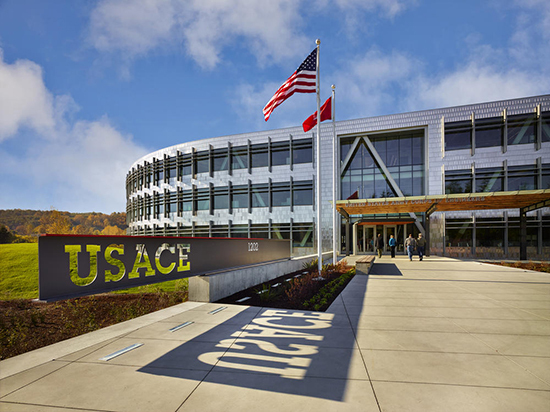 This is the greenest commercial building in the world, it, like many other buildings on this list, uses a solar array and rainwater use minimize energy use. It was officially opened on Earth day, and it is designed to last for over 250 years. The Bullitt centre can even stand alone from the municipal water system!